Acetaminophen is far and away considered one of the safest drugs on the market. It’s the active ingredient in Tylenol, and tens of millions of people take this popular pain reliever and fever reducer every week with no major problems. But did you know that over the last 10 years, some 1,500 Americans have died after accidentally consuming too much acetaminophen? That breaks down to about 150 cases a year, according to the U.S. Centers for Disease Control and Prevention. A new series of reports indicate the in large quantities, particularly when taken in combination with alcohol, the drug can significantly damage and possibly even decimate the liver. A strong and healthy 23-year-old construction worker. While the U.S. Food and Drug Administration has called this is a public health problem that is both persistent and important, neither federal regulators or big-name manufacturers such as Johnson & Johnson (whose subsidiary McNeil Consumer Healthcare produces Tylenol) have taken stops to reduce overdoses. In fact, as journalism non-profit ProPublica recently reported, an FDA expert panel convened in the late 1970s urged a strongly-worded warning on the label of these products,, indicating the possibility of severe liver damage. However, that warning wasn’t actually required until 2009. A larger effort to implement higher safety standards for the drug is still not completed. McNeil has made some strides with regard to patient protection, including helping to fund the development of a drug that can serve as an antidote to acetaminophen poisoning. And yet, the firm has vigorously challenged the implementation of stricter safety warnings, restrictions on dosages and public education initiatives. The company is currently being sued by a number of plaintiffs who suffered some consequence as result of acetaminophen overdose. Recently, FDA officials announced a recommendation to health care professionals to halt prescription of combination drugs that contain 325 milligrams or more of acetaminophen per dosing unit. The agency specifically cited the risk of liver damage as the reason. The agency indicated its hopes that this will slash the risk of accidental overdose, which has in some cases led to liver failure, liver transplant and even death. This recommendation comes after an earlier request to manufacturers to limit the production of acetaminophen doses to no more than 325 mg per tablet, starting this month. These products continue to remain on the market. It’s widely accepted that all over-the-counter pain relievers have the potential for harm. for example, ibuprofen and aspirin have been associated with stomach bleeding and, in some instances, fatal skin reactions. However, officials with the FDA say that acetaminophen is especially risky, particularly as new research has shown that about 25 percent of all American regularly take more over-the-counter pain relief pills than they actually should. Taking as little as 25 percent over the recommended maximum daily allowance (or two additional pills in a day) can cause damage to the liver. And while 15 people reportedly died as a result of reactions to other over-the-counter pain medicines in 2010, the CDC reports that more than 320 people died as a result of acetaminophen overdose. More than half of those instances were accidental. 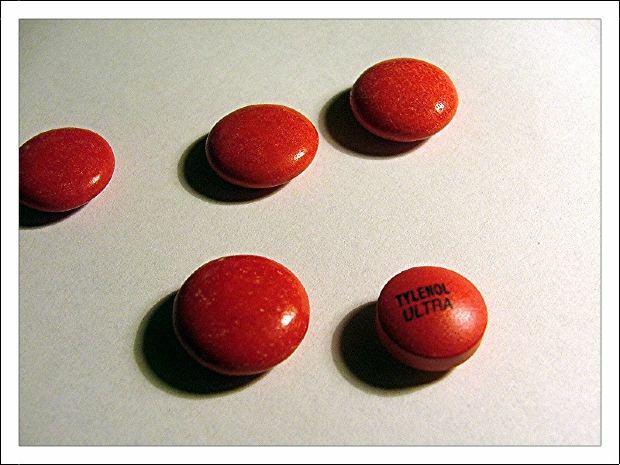 In addition, nearly 80,000 people are treated in emergency rooms annually for acetaminophen toxicity. The National Institutes for Health indicate it is the No. 1 cause of acute liver failure in this country. File a Massachusetts product liability claim by calling the Law Offices of Jeffrey S. Glassman for a free and confidential appointment — 1-888-367-2900.